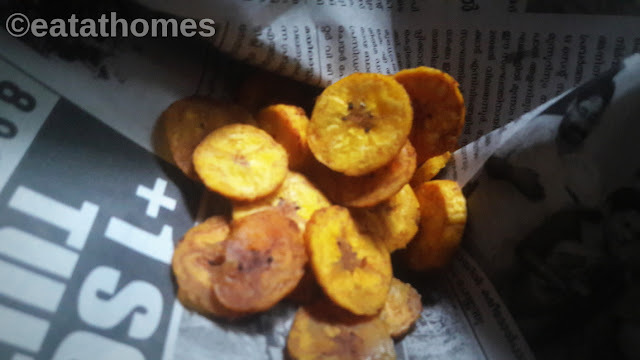 Banana Chips/ kaya varuthathu /plantain chips/ Kele ke wafters Recipe is very famous and everyone’s favourite snacks . 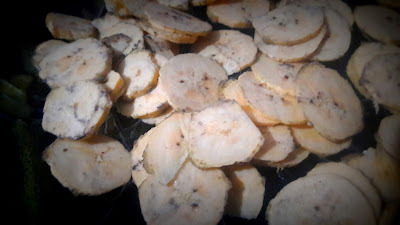 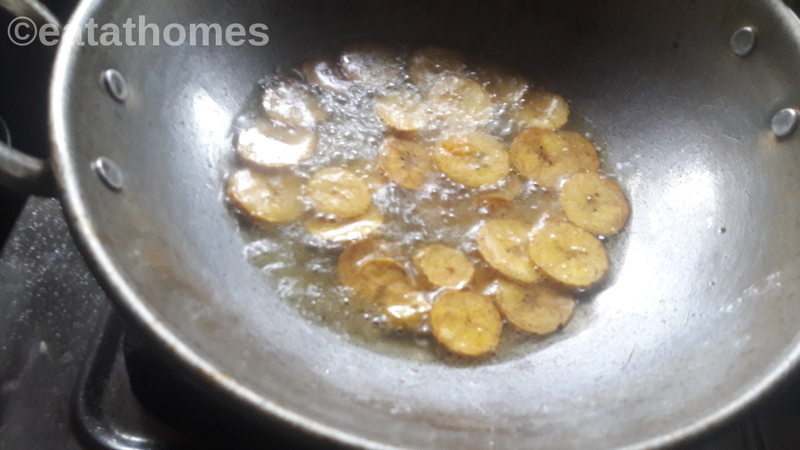 Today we are going to make Small Batch of banana chips from Plantain . 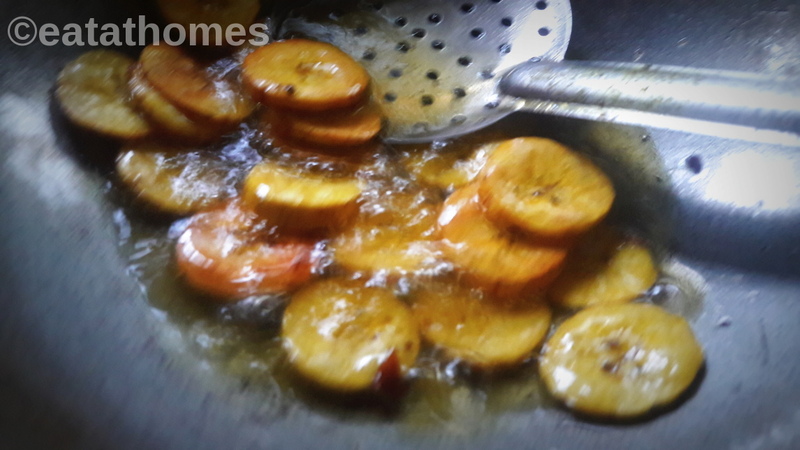 Peel the raw bananas with the help of knife and wash.
pat them dry and slice them with the help of slicer or knife. 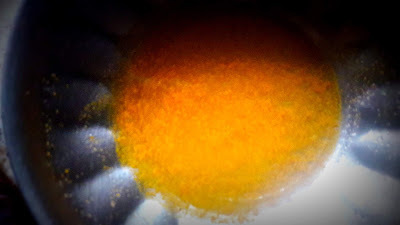 Take small bowl add 2 tbsp of water and sprinkle salt & turmeric. 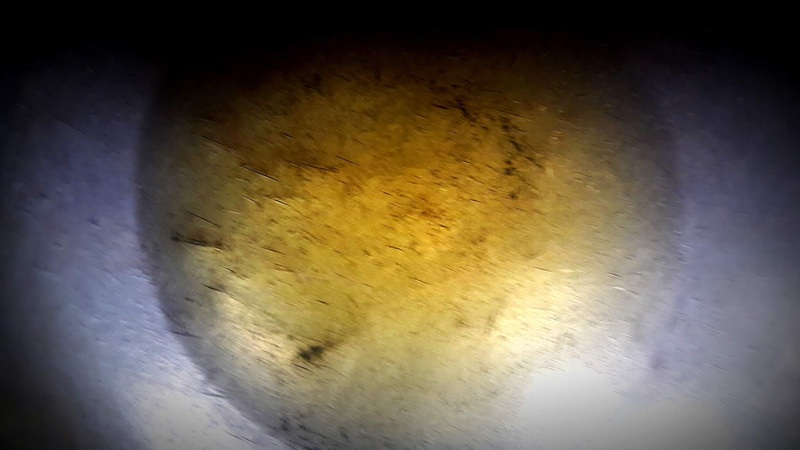 Heat a deep pot/ kadhai with sunflower oil/ coconut oil for frying. 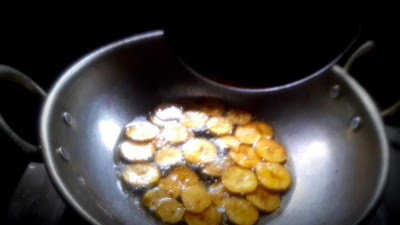 Once oil gets hot, add a banana chips one by one. after 2-3 minutes turn other side on oil. fry 1 minutes. 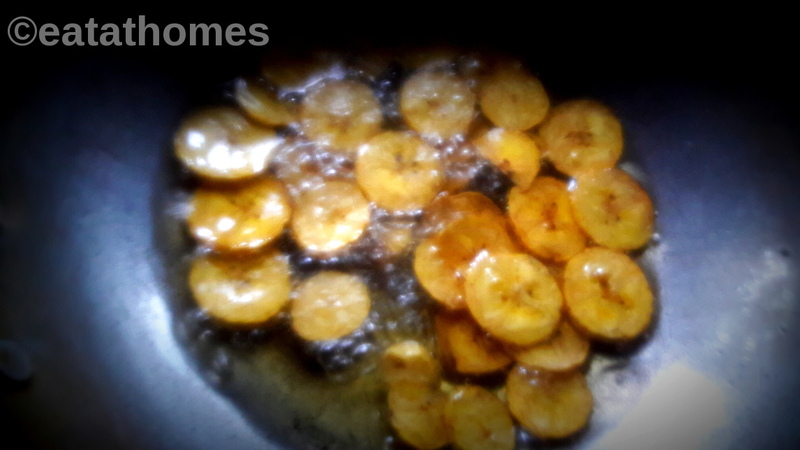 Take them out on a paper / paper towel to absorb the excess oil. 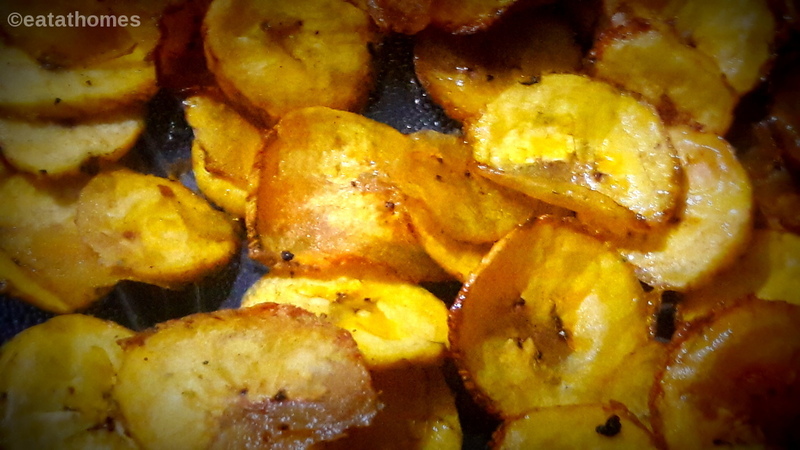 Serve during Onam Sadhya , kids tiffin or as snacks.